A Life, Not As Advertised: Bamboo Clothes - soft, breathable and eco-friendly too! Bamboo Clothes - soft, breathable and eco-friendly too! I happened upon a website a few weeks ago advertising clothes made from Bamboo. Excuse me? Bamboo? Now, I'm a progressive sort of gal, we have strand-woven bamboo flooring in our house that's hard as nails and beautiful to look at. 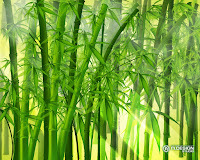 Bamboo is a grass and grows much faster than hardwood and so is more easily replenished and can be harvested more often. It's also more water-resistant than wood such as oak. Okay, so flooring.. but how are you going to make it into clothes? Apparently, bamboo fibre is produced from the raw materials of bamboo pulp. It's then made into fibre through a process of crushing and mixing with caustic soda, a low impact chemical. It has excellent wicking properties for sports and performance clothes, because it absorbs and evaporates sweat in seconds, which means bamboo clothing will keep you dry for much longer. Bamboo fibres also have a special microstructure that remains present in textiles. Thanks to this microstructure, bamboo clothing has a thermo-control, staying cooler during summer and warmer through the winter. In fact, it's been proven that, during hot weather, clothes made from bamboo will keep you two degrees cooler than those made from other fabrics. 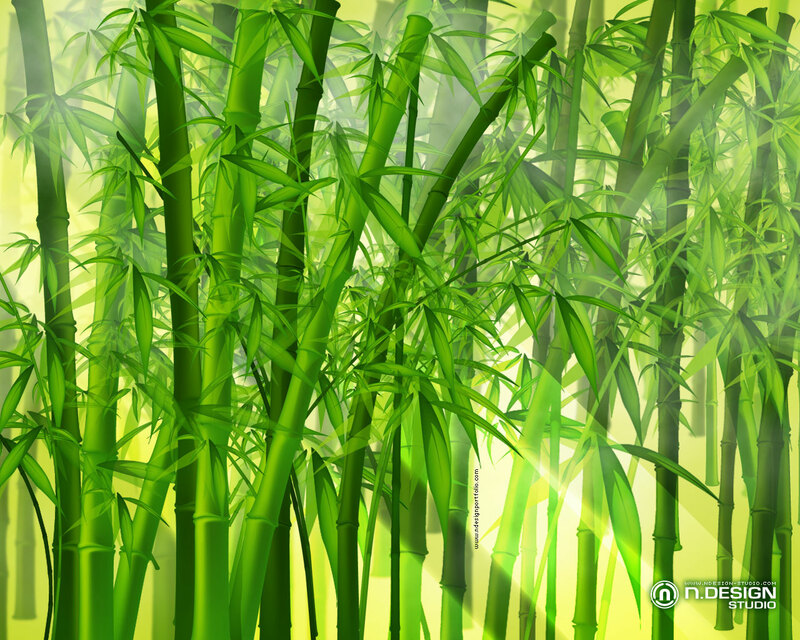 Bamboo clothing is anti-static, so it doesn't cling and it cuts out 98% of harmful UV rays. If that isn't enough, it's apparently also anti fungal, so it keeps your clothes fresher for longer - no more smelly socks! Alrighty, then, I'm convinced to give them a whirl. 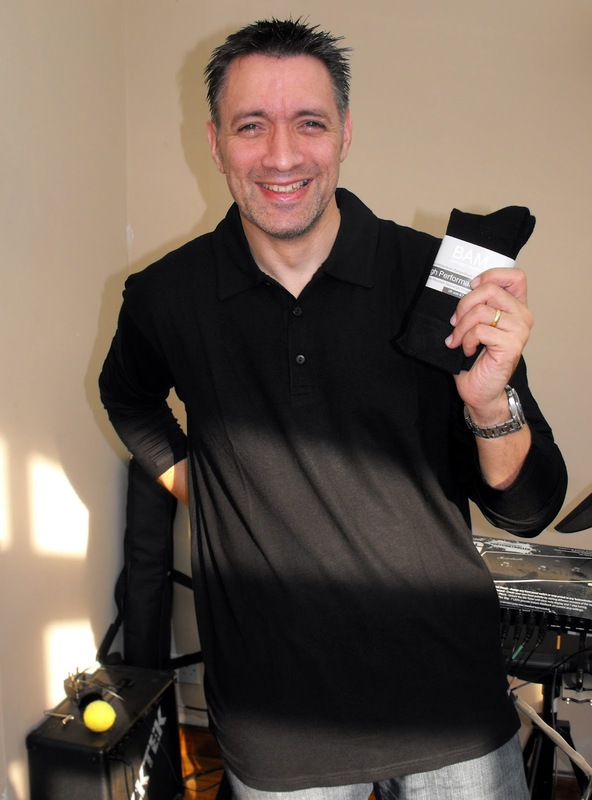 I explored the website, Bamboo Clothing or BAM, and as I was in the market for some new socks, ordered three pairs for myself and a natty looking long-sleeved black polo-top for my husband, smart enough to wear for 'Dress-down Friday' at work. And best of all, not too expensive. Wow, was I impressed. The socks are FAB. They feel nice and weighty in the hand but fit beautifully and are sooo soft. My husband's top is also really soft, doesn't crease and the fabric feels lovely next to the skin. So on to the washing machine test. No problems there at all. Tumble dried? Brilliant. I am planning to buy my husband some running tights and I might even splash out on some underwear for everyone. I am obliged to get some socks for my 12 year old son who I caught walking off with a pair of mine that I hadn't opened. The range isn't huge at the moment, but I'm sure that will change in time. But if you're into sports, (unlike me) they have a great range of baselayers and other activity wear. One more group of people that Bamboo fabric is good for - those with allergies, because of the lack of harsh chemical treatments in the fabric. The fibre is smooth and round, so is a non-irritant. This last point brings me to a very special set of people who could benefit - those with sensory issues that arise from autistic spectrum disorders and similar problems. Many people like this find scratchy, rough or itchy clothes intolerable so this maybe one solution for them. This is not a sponsored post - it was written for no incentive, because I was genuinely impressed. However, those nice people at BAM did send me a pair of socks when they'd seen it to say thank you. Which was very nice of them.